If you’re planning a trip to Los Cabos, Mexico, you can book free stays at fantastic hotels using points! There are highly rated options at chains like Hiton, Hyatt, IHG, and Starwood! But before selecting a hotel, consider which part of Los Cabos (or “Cabo”) you’d like to stay. There’s San Jose del Cabo, which is a less touristy area that’s closer to the airport. And there’s Cabo San Lucas, which is known for tourist attractions and home to the port where cruise ships stop. The 2 towns are ~30 minutes apart. I’ll show you 5 highly rated hotels in Los Cabos where you can stay free using points! San Jose del Cabo is the area of Los Cabos where you’ll find the most large chain hotels that accept loyalty points. These hotels are typically a ~25 minute drive from the Los Cabos airport. It’s Safe and Easy to Drive a Rental Car Along the Nicely Paved Roads in Los Cabos! Here are 5 fantastic hotels you can stay using points! The Hyatt Ziva Los Cabos is a family-friendly, all-inclusive beachfront hotel located in San Jose del Cabo. Every room at the hotel is a suite, which means using points doesn’t just get you a traditional basic room. This hotel gets excellent reviews on TripAdvisor. Folks say the food is phenomenal. And it’s a great option whether you’re traveling as a family or a couple looking for a romantic getaway. Soak up the Sun in a Lounge Chair IN the Infinity Pool at the Hyatt Ziva Los Cabos! A free night at this hotel costs 20,000 Hyatt points. Room rates are regularly $300+, so using points is a great way to save money. To book a room with points, you must call Hyatt at 800-228-3360. The standard room cost is for 2 adults. You can bring up to 2 additional guests for 10,000 Hyatt points per person per night. So a family of 4 will pay 40,000 Hyatt points per night (20,000 points for standard room + 20,000 points for additional guests). You do NOT have to pay for children under 3 years old. You won’t have to leave your room at the Hilton Los Cabos Beach & Golf Resort to enjoy magnificent views. Because all rooms have private balconies overlooking the Sea of Cortez. At this hotel, you can relax in the infinity pools, get spa treatments, or visit Los Cabos’ largest tequila collection at the hotel bar Azul. The hotel also has partnerships with area golf courses, including Palmilla Golf Club. Team member Keith played at this course and loved the layout and views! 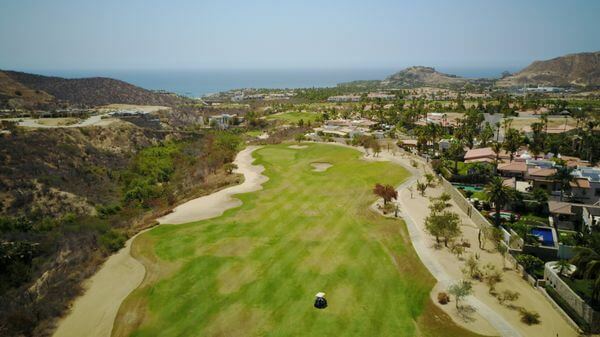 Stay at the Hilton Los Cabos and Play Golf Nearby at the Palmilla Golf Club! On TripAdvisor, this hotel ranks #4 out of 41 for all hotels in San Jose del Cabo. Folks love the infinity pool swim-up bar, excellent food, large fitness center, and friendly staff! Hilton no longer publishes an award chart. But I searched a sample stay in November 2017, and found free nights cost between 52,000 and 70,000 Hilton points. Using points saves you $250+ per night! Folks on TripAdvisor say they can’t wait to go back to the JW Marriott Los Cabos Beach Resort & Spa. Families or couples can enjoy a wonderful stay at this luxury hotel, which is home to Cafe des Artistes, one of Cabo’s top restaurants. There are lots of amenities for children, including the NAYAA Kids Club. And if you’re on a romantic getaway, feel free to enjoy quiet time at the adult only pool or at Jasha Spa & Salon. Enjoy Picture Perfect Views From the Moment You Check-In to the JW Marriott Los Cabos Beach Resort & Spa! A free night at this hotel costs 40,000 Marriott points. Don’t forget, you can also transfer Starwood points to Marriott at a 1:3 ratio. So you can convert ~14,000 Starwood points to book a free night. Using points will save you ~$250 per night! 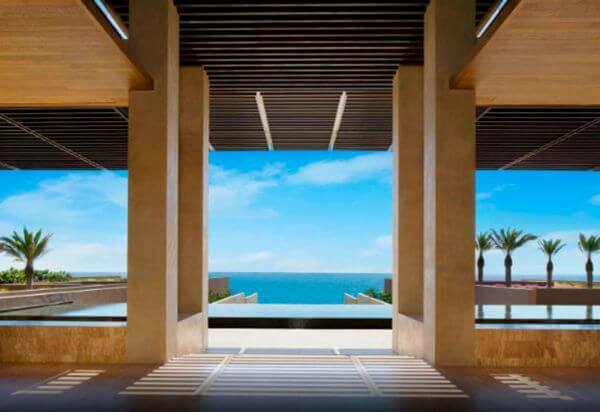 The Westin Los Cabos Resort Villas & Spa was recently renovated. All rooms at this hotel are villa style, which means you’ll get a kitchen area with a cooktop, microwave, and washer and dryer. And don’t forget about the comfortable Westin Heavenly Beds! At this hotel, you can treat yourself to massages and treatments at Spa Otomí. 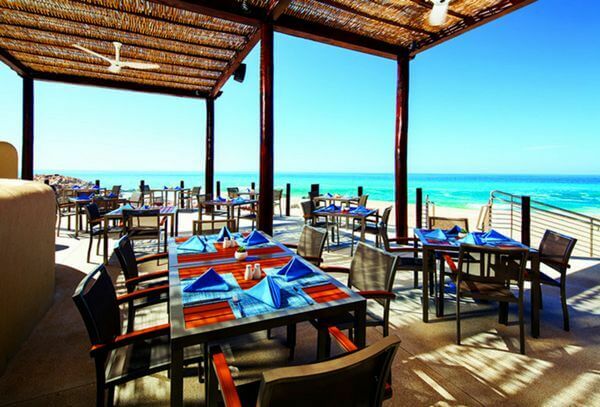 And enjoy meals at several different hotel dining options, including a beachfront restaurant. Enjoy Tasty Treats Like Shrimp and Octopus at the Coralline Restaurant at The Westin Los Cabos Resort, Which Overlooks the Sea of Cortez! TripAdvisor reviews say the landscaping and grounds at this hotel are impeccable. And the staff are friendly from the second you check-in. Award nights at this hotel cost 20,000 to 25,000 Starwood points. Or you can convert 60,000 to 75,000 Marriott points. Nightly room rates are $250+ if you pay cash. The Holiday Inn Resort Los Cabos is an all-inclusive hotel. You can enjoy a la carte dining at Azul Estero or choose the buffet option. The hotel has tennis courts, a fitness center, spa, and kids club. While you won’t get the feel of a luxurious resort, folks on TripAdvisor say the hotel is ideal if you’re traveling on a budget. Because nightly rates are less than $200. Or you can redeem 35,000 IHG points. 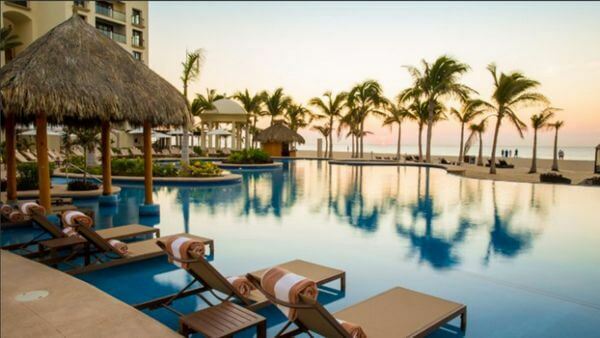 Folks With IHG Points Can Book Free Nights at the All-Inclusive Holiday Inn Resort Los Cabos! Paying for a standard room covers 3 adults or 2 adults & 2 children. So it’s a great deal for a family or group of friends traveling together! And if you’re considering a stay in Los Cabos at an independent boutique hotel or Airbnb, I suggest the below cards. Because you can use miles to offset travel purchases. 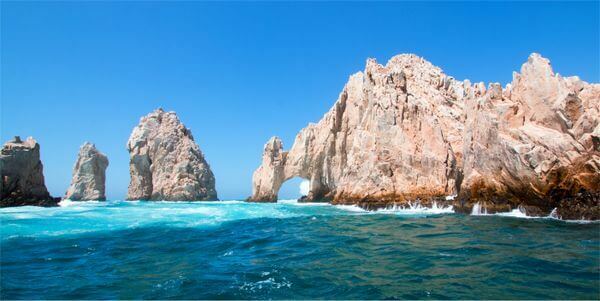 Los Cabos, Mexico is a terrific travel destination located right along the beautiful Sea of Cortez. Remember, many popular chain hotels are located in San Jose del Cabo, which is a ~30 minute drive from tourist attractions in Cabo San Lucas. So you might consider renting a car to drive back and forth to your hotel. Do you have a favorite hotel in Cabo you’ve booked using points?